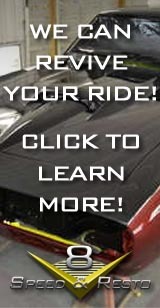 Contact the V8 Speed & Resto Shop Today! The V8 Speed & Resto Shop is a full-service Classic and Muscle Car Restoration shop where we bring dream cars to life. From simple vintage car repairs to complete re-egineering of new technology into classic cars, The V8 Speed & Resto Shop has been building show-stoppers for years. 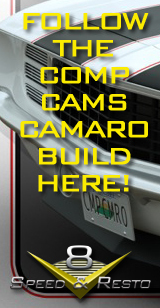 Click HERE to contact the shop about YOUR dream car!